Sand blasting is probably the most common type of abrasive blasting, but there are several others ways that abrasive blasting can be accomplished. 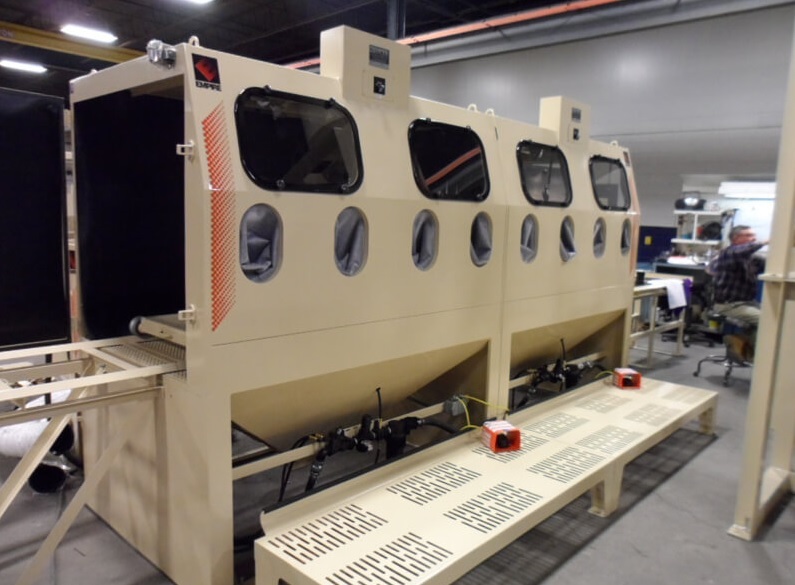 Some businesses offer abrasive blasting as a service to industrial customers, while other manufacturers sell abrasive blasting equipment directly to companies in restoration and repair industries. In sandblasting, a high pressure air blast system forces sand through a nozzle that is pointed at the part being treated. The force of the sand hitting the metal causes rapid abrasion that smooths the surface out, restoring it to its original quality. Sandblasting is used on vehicle restoration projects to treat car parts that have been disassembled before they are coated with a fresh coat of paint. In some cases, this is the only way to return the appearance of a car to its original state. Other types of abrasive blasting equipment use hydro-blasting, wheel-blasting, dry-ice blasting and automated blasting. These are all good for abrasion, but some may be optimal for particular applications. Hydro-blasting, for example, uses highly pressurized water to blast surfaces like the exterior walls of buildings. Dry-ice blasting uses air and dry-ice under pressure that are ejected from a nozzle. This effectively removes surface contaminants because of the force of the carbon dioxide. Abrasive blasting equipment can be manufactured in portable and stationary sizes. Portable systems are usually powered by a diesel air compressor. The compressor fills a blast pot with pressurized air. This pot is where the air interacts with the abrasive materials and then travels through a hose to the nozzle where it is ejected. A blast cabinet is a stationary blasting unit where parts are placed in tightly sealed enclosure. A foot pedal turns the blaster on and off and the operator can see the object through a small viewing window and move it by inserting his or her hands into rubber gloves that are built into the machine. A blast room is like a larger version of a blast cabinet where the operator works inside while wearing protective equipment. Abrasive Blasting Equipment Abrasive blasting equipment is used to clean metal components by spraying them with abrasive materials like sand at a very high speeds and pressures. This process removes contaminants from the surface and smooths out any bumps or wrinkles to improve the durability and tensile strength of the metal.